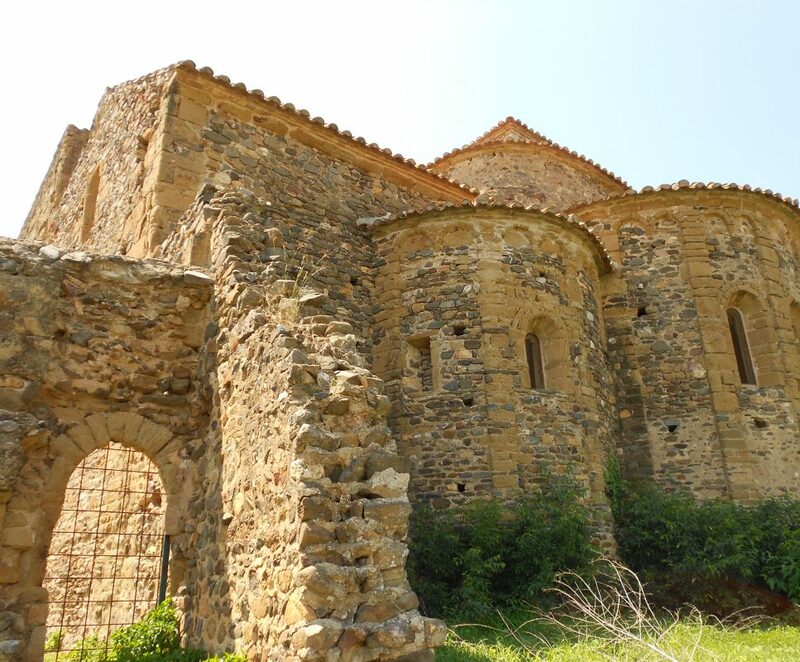 Cycle tour of the most important medieval villages on the Costa Brava. 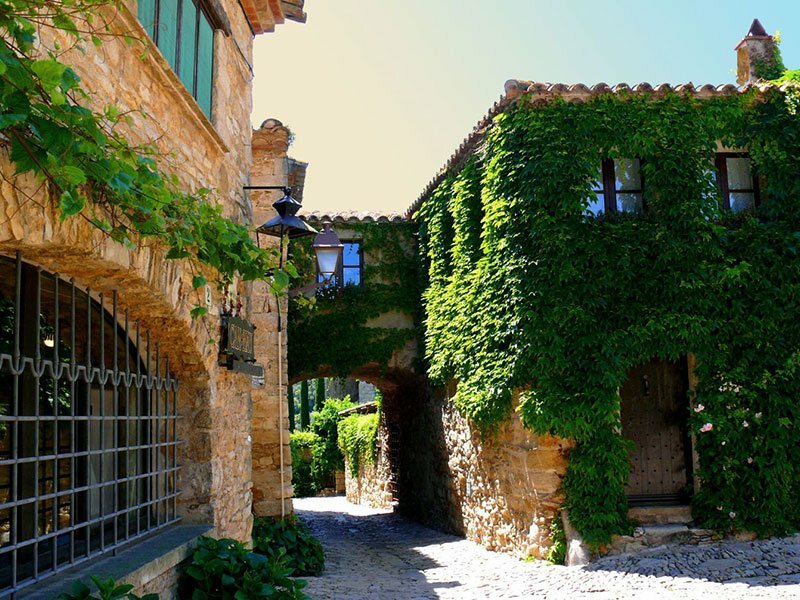 You’ll have a magical experience as you tour villages that are kept in a perfect state of conservation. 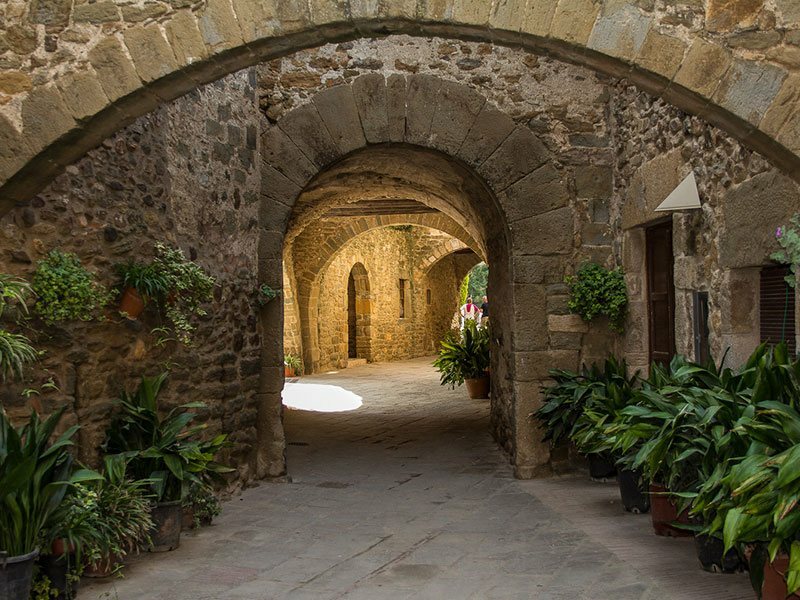 As you walk around the cobbled streets, visiting the castles and fortified walls you’ll feel like you are back in the middle ages. 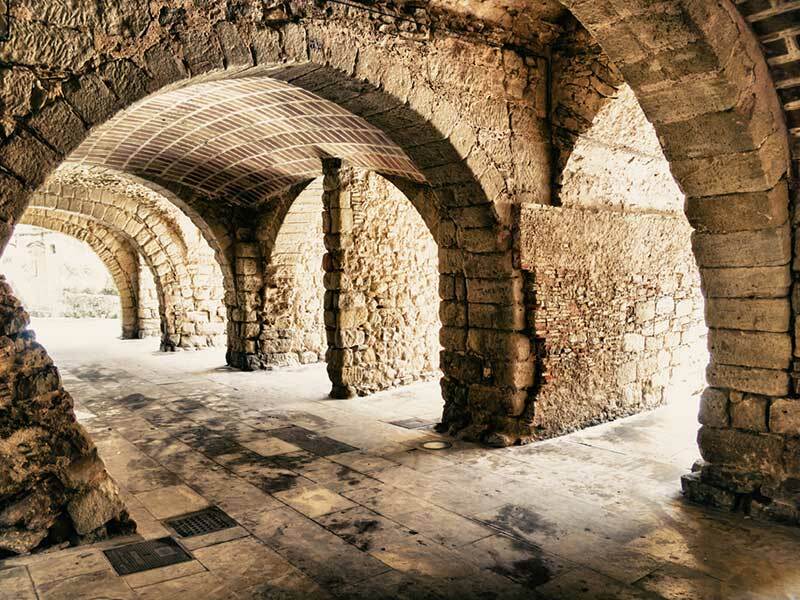 You will discover that the Costa Brava is much more than beaches and sunsets. 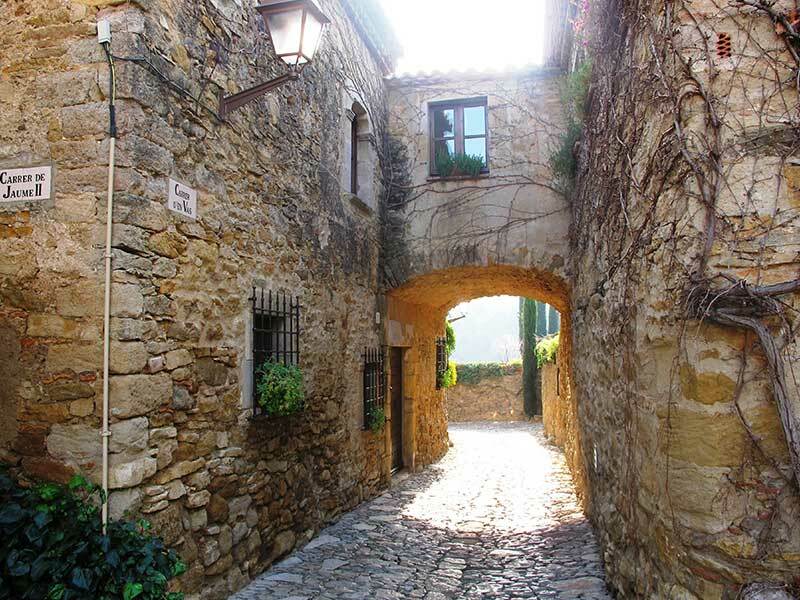 Monells, a small village belonging to the municipality of Cruïlles, Monells and Sant Sadurní de L’heura, in Baix Empordà. The village is built around the old castle, of which only the outer walls have survived. The main square is preserved in perfect condition and features the gothic style San Ginés church. Ullastret is a beautiful town with more than 2,500 years of history. Its history comprises various periods and there are numerous archeological sites that are still being studied. 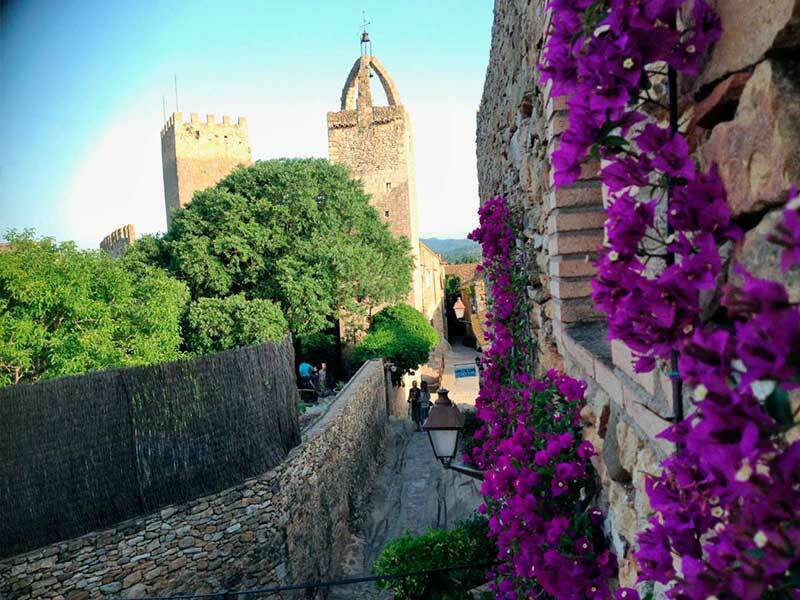 Pals: this beautiful village stands out because of its historical centre and Romanesque Tower which has almost nine centuries of history, also known as the Tower of the Hours. There are several options for this tour of medieval villages. A longer version which we wholeheartedly recommend, so that you can see everything we have detailed here, as well as the medium and short routes.